This summer, I’m at war. A war against any biting, buzzing, bloodsucking insect that dares to set foot in my yard. My family lives outside in the warm weather and we are not having our turf taken away from us by mosquitoes. After doing TONS of research, I actually found out there’s a lot of things you can do to repel mosquitoes from your yard, and none of these suggestions require using or spraying any yucky chemicals. In fact, they are all safe for the whole family, including small children. No pests nibbling my baby’s flesh this year, no sir. The main secret to keeping our buzzing enemies at bay, naturally? Plants. You see, the scents given off by many plants spell TERRIBLE to mosquitoes. Lucky for us, the plants that pests hate are actually really pleasant smelling to us! Yay! The plants you see in the buckets on our picnic table are actually Lemon Thyme plants. These little puppies smell so fragrant and have proven resilient to my black thumb. You’ll want to be strategic about where you place the plants. We put the majority of our plants near our sitting and dining areas, where people are likely to congregate. Check out all that yummy mint growing! Mint is super easy to grow–in fact–you might find that it grows a little too easily. Mint can easily take over if planted in a garden so I opted to keep all mine in containers. It is very fast growing and, as a bonus, you can use it for cooking and grilling recipes. Mojitos, anyone?! Lavender is another great option for repelling pests and it smells absolutely amazing. I have some of this planted along the perimeter of my patio. It grows into rather large bushes that produce beautiful purple flowers. And can we talk about Lemongrass for a second? You can see mine planted below next to the pool. It has been growing super fast, so if you don’t plant it in the ground, make sure you get a BIG pot for it. This is by no means an exhaustive list of plants that will repel bugs, but it is some of my absolute favorites. Basically, any fragrant herb will keep the little buggers away. So, after you’ve bought your herbs, lets talk about things you can to to get the most bang for your buck with them! Just having the plants is a good start, but where you plant them makes a huge difference on their effectiveness. Ideally, you would want to make a border of plants along the perimeter of your outdoor space. Along a pathway where people will be brushing up against them is ideal. 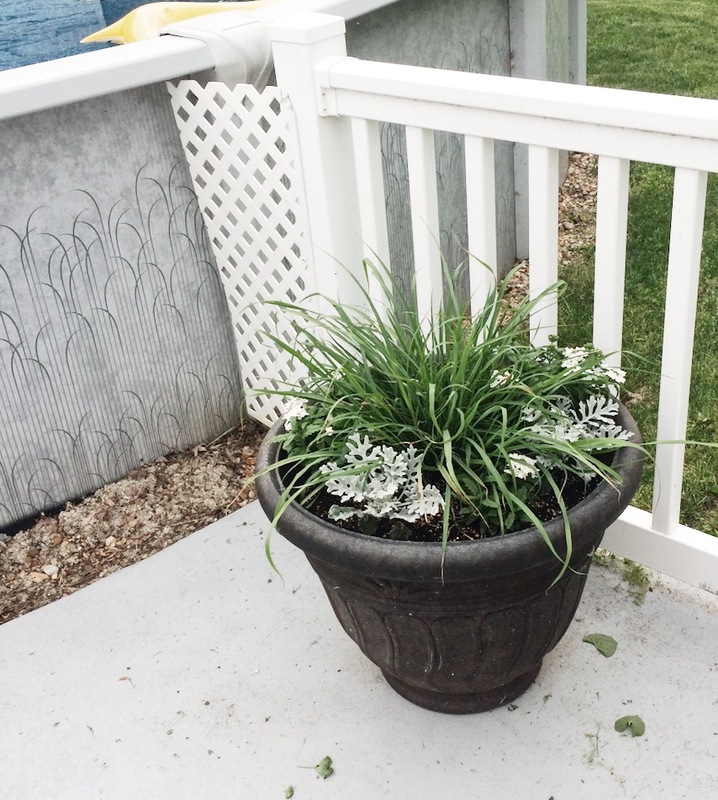 Every time the plants are “disturbed,” they release the scent that scares bugs away. When I’m setting the outdoor table and getting ready to eat, I run my hands through the thyme to stir it up a bit until I can smell it. I do it every time I sit down next to the mint and lavender, too. This is really not a chore, its something I kind of do obsessively because I love the smell of them. Weird? Maybe. 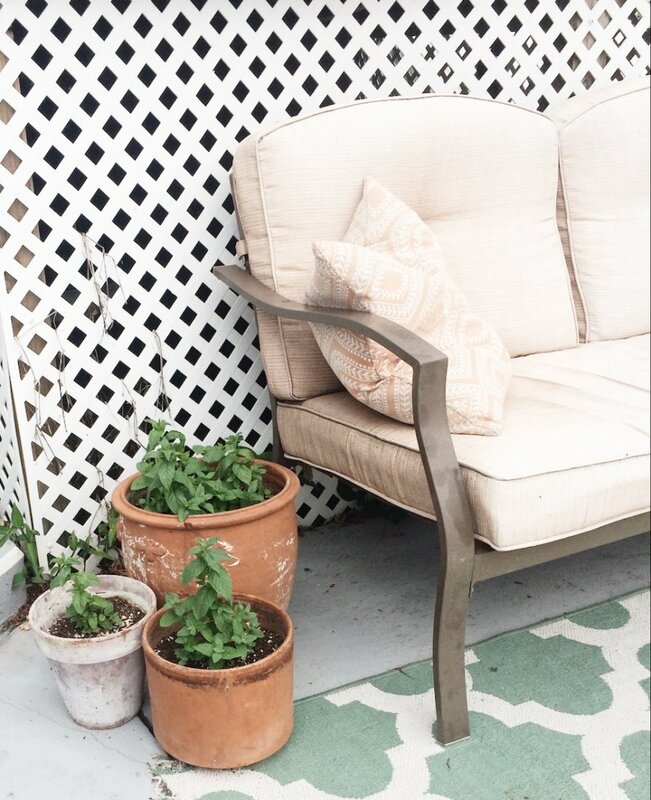 So after you’ve set up your outdoor space with plants to repel mosquitoes, you’re going to want to keep the natural vibe going and not spray yourself in a yucky bug spray full of DEET and Lord knows what else, right? If you’re into essential oils, you can make your own insect repellent using them and I can’t WAIT to share my recipe with you guys! If you aren’t into making it yourself, or you just need an easy fix, I want to share a brand of insect repellent I LOVE. 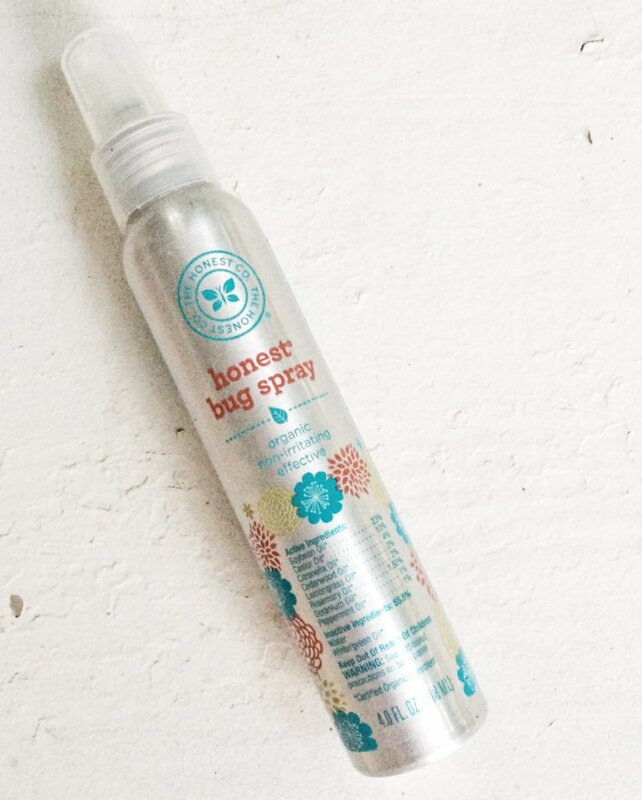 The Honest Co makes a spray that is literally just a carrier oil with essential oils. It feels great and I haven’t gotten a single bite while wearing it. And no, this is not sponsored, I just love it. It’s a great alternative if DIY bug spray isn’t your thing. Plus, I can spray my three year old with it and not feel even slightly guilty. Winning. This wouldn’t even be a mosquito repelling post if I didn’t mention citronella candles. 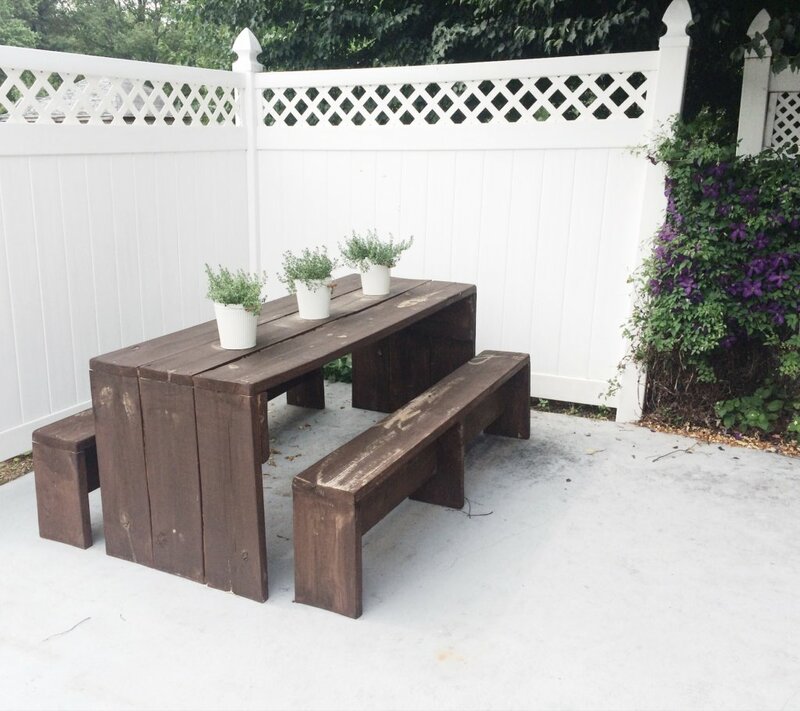 We have them in multiple places around our patio as well. 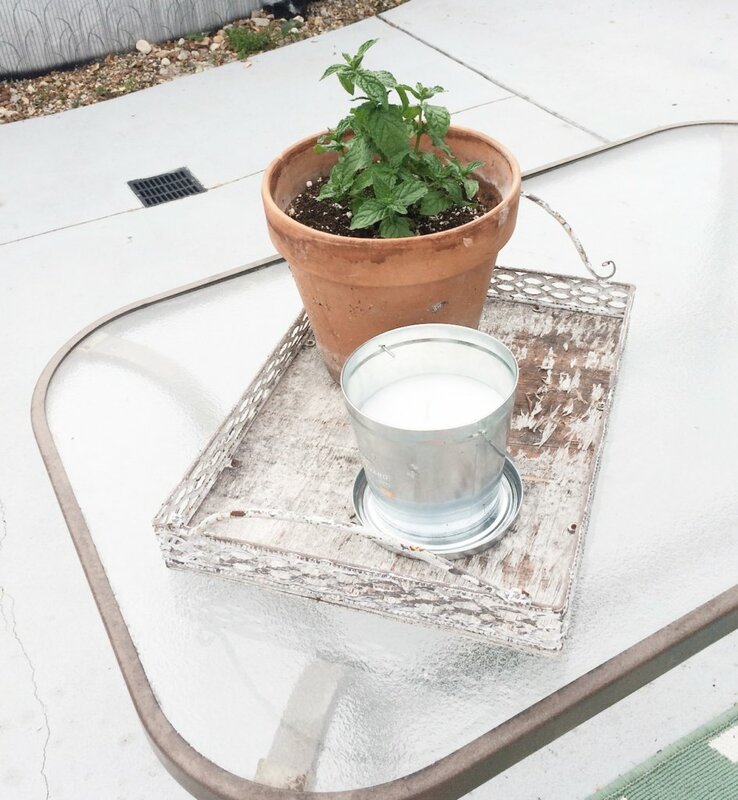 While all of these mosquito repelling strategies work well on their own, combining plants, natural bug spray, and candles, means those little devils don’t stand a chance! So go on and enjoy that pool/barbecue/happy hour par-tay and don’t you dare worry about getting bit!!! I’m super curious, do you guys have any fool-proof ways you repel mosquitoes?! This post contains affiliate links. Thank you for supporting the brands that make this blog possible!